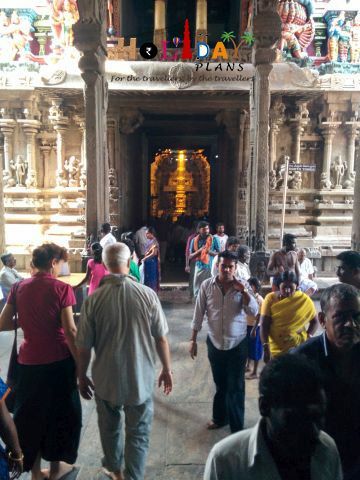 Home » Arulmigu Subramaniya Swamy Temple » Bay of Bengal » City of Temples » Dhanushkodi » gopurams » Indian Ocean » Lotus City » Meenakshi Amman Temple » Rameswaram » rock-cut temple » Tirupuramkundram Murugan Temple » Excursion to the South: Last day in Madurai ! Excursion to the South: Last day in Madurai ! 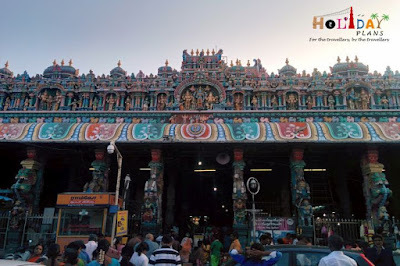 It was finally the last day of our South India trip and we had checked-in last night in Madurai while coming back from Rameswaram. We had covered Dhanushkodi the last day and the spectacular images of Indian Ocean meeting Bay of Bengal were still very fresh in my mind. We had our flight on the next day early morning, so we still had a full day to roam around in Madurai and explore this City of Temples! 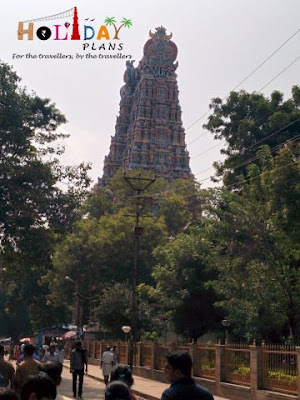 City of Madurai is in the shape of a Lotus and hence also sometimes regarded as the Lotus City. Also this city has been ranked in top 5 cleanest cities in India off late. The place has a great cultural heritage and strong mythological history. 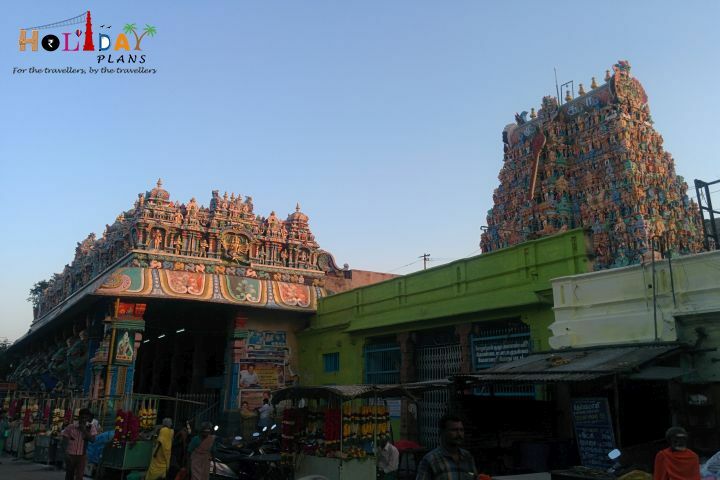 There are numerous temples in Madurai of which most prominent are Meenakshi Amman Temple and Tirupuramkundram Murugan temple. 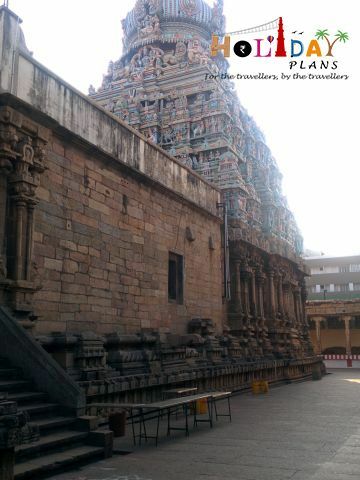 We started off with the Meenakshi Amman Temple. Meenakshi Amman Temple is an amazing and massive temple of Goddess Parvati and her consort, Lord Shiva, here named Sundareswarar. Both God and Goddess are worshipped together is one unique feature of this temple. 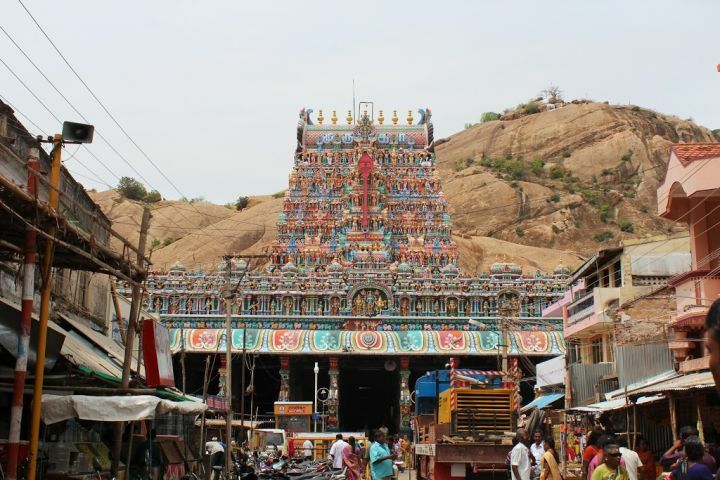 The temple is built in a typical Dravidian temple style with tall towers at entrance and long corridors inside. There are an estimated 33,000 sculptures in the temple. It is because of this that this temple was in the top-30 list of nominees for “New Seven Wonders of the World”. This temple is an architectural gem and display great details of art. Images will take you through it. It took us good 2 hours to go around the Meenakshi Amman Temple. 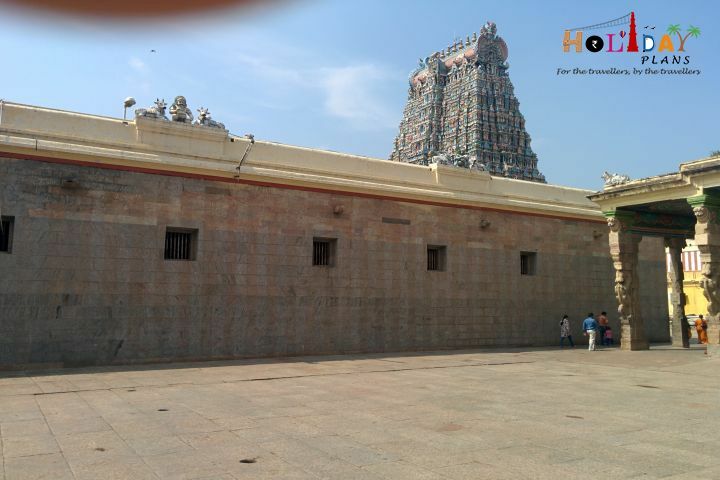 Post visiting it we headed towards the other prominent temple - Tirupuramkundram Murugan temple. 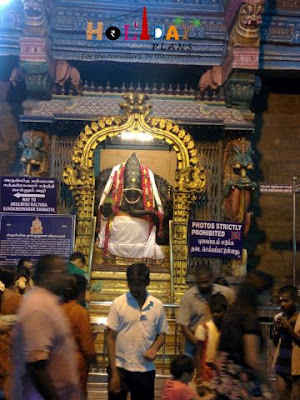 This temple is also called Arulmigu Subramaniya Swamy Temple. Tirupuramkundram is one of the six main pilgrimage sites for the devotion of the son of Shiva - Muruga(also Subramanya),Tamil Hindu god of war. According to legend, the Lord married Deivyani, the daughter of Lord Indra at this place. It is carved in rock – a classic example of rock-cut temple and is monstrous in size for such architecture. 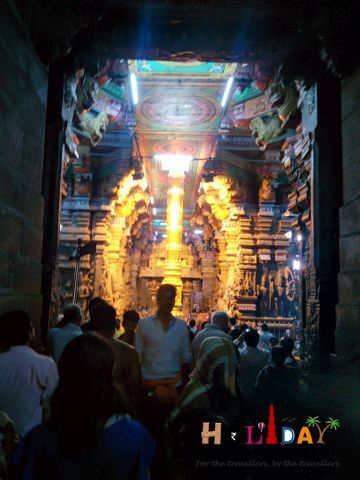 It is supplemented with beautiful gopurams and beautified. 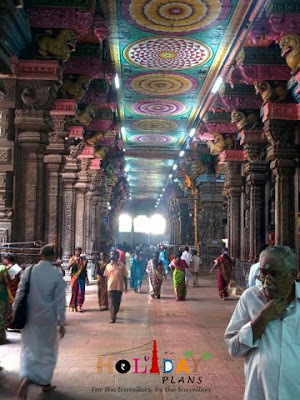 There is a beautiful front part (mugha mandapam) with 48 ornate pillars. A curious feature of this temple is that the Gods Shiva and Vishnu face each other in the main shrine, and this is a rare thing in ancient Hindu temples. It was late afternoon till we finished visiting the Tirupuramkundaram temple. We sat down for a hefty South Indian lunch at a nearby restaurant. Since I’ve landed here in South I have been treated with Idli , Vada , Dosa , Uttapam , Rasam and what not. The significant feature of the dishes is that despite being the same in name they are not same in flavor and taste at different places. The South Indian cuisine of Madurai is very different from that of Rameswaram(mixed with North Indian because of Hindu Pilgrimage) and Kodaikanal ( mixed with Kerala’s cuisine as it is closed to Kerala’s border). Post lunch we headed towards yet another temple, but this time dedicated primarily to Lord Vishnu. The name of the temple is Koodal Azhagar Koil or Koodal Azhagar Temple. 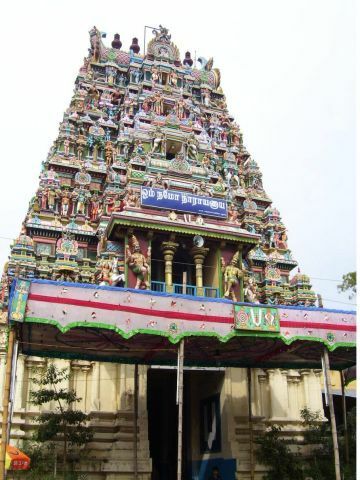 This temple is located in the centre of the city. The literal meaning of the name is “The Beautiful Temple of Madurai”. 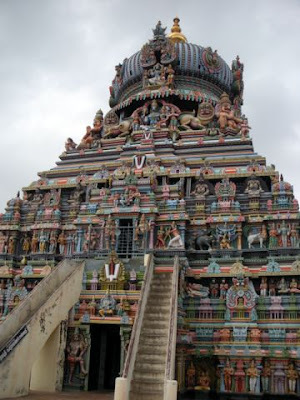 This temple is similar to any of the South Indian style of architecturally built temple. What makes this significant is that it is one of the 108 temples listed in Divya Desam(works of Tamil saints). 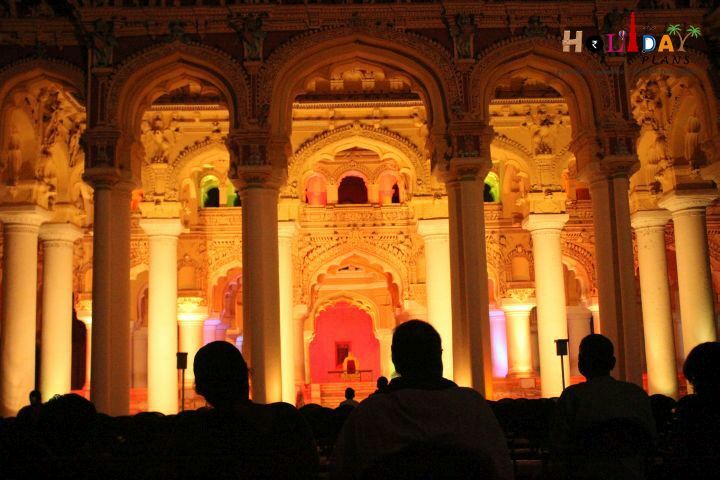 The dusk was nearing and I had kept the evening reserved for the light and sound show at Thirumalai Nayak Palace. 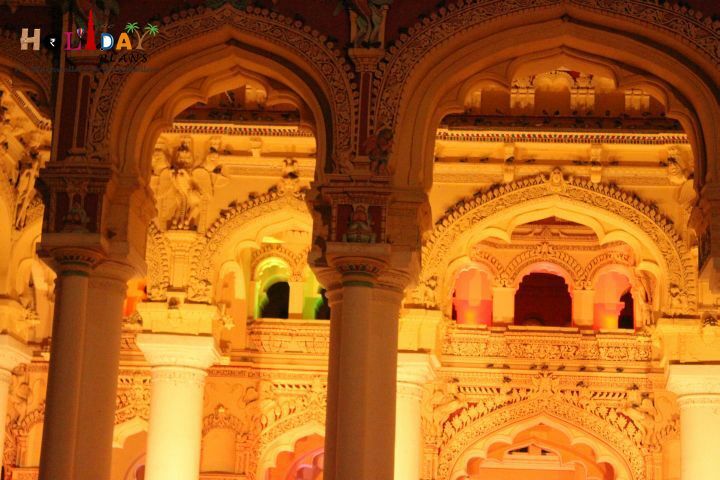 It is a 17th century palace built by Thirumalai, the ruler of Madurai. After all the Dravidian architecture temples that I’ve visited in the day (and since last 2 days) this palace was having a completely different architecture, giving it an oasis in the desert type feeling. 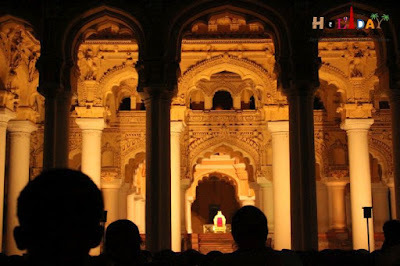 This is a unique fusion of Dravidian and Islamic architecture. Though the major part of the palace has now been destroyed but what remains is of interest too. 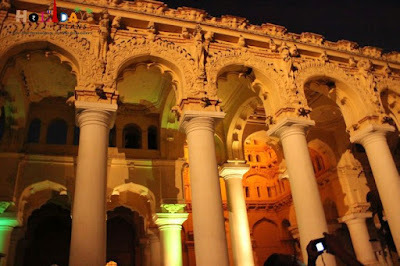 The courtyard where the visitors are seated during the light and show is a vast hall surrounded by massive circular pillars. 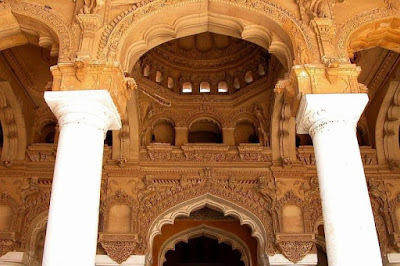 This palace is famous for its giant pillars. Pillar's height is 82 feet and width is 19 feet. 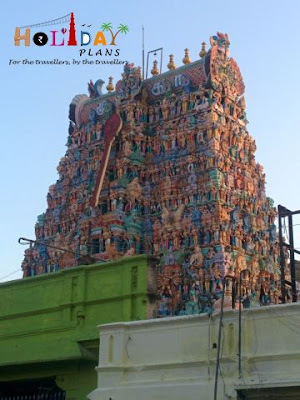 It is declared as a national monument and is under the protection of the Tamil Nadu Archaeological Department. 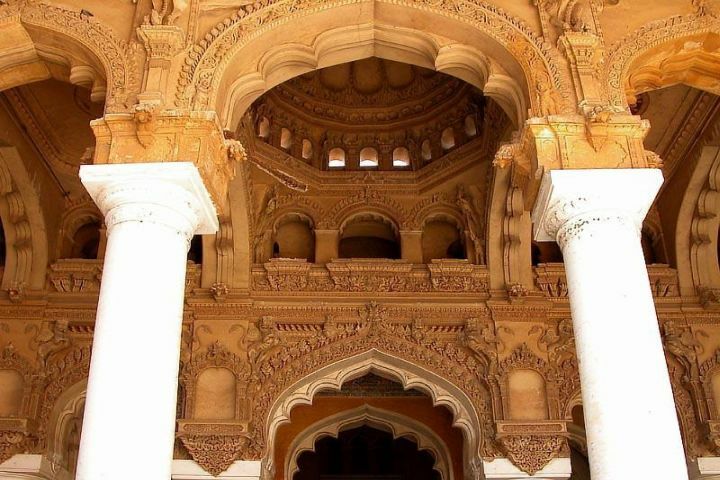 This palace is open for the visitors from 9am to 5pm and the entry ticket price is Rs.10 per adult and children(aged 5-12) Rs. 5 for Indian Nationals. For Light and Sound show the ticket price is Rs. 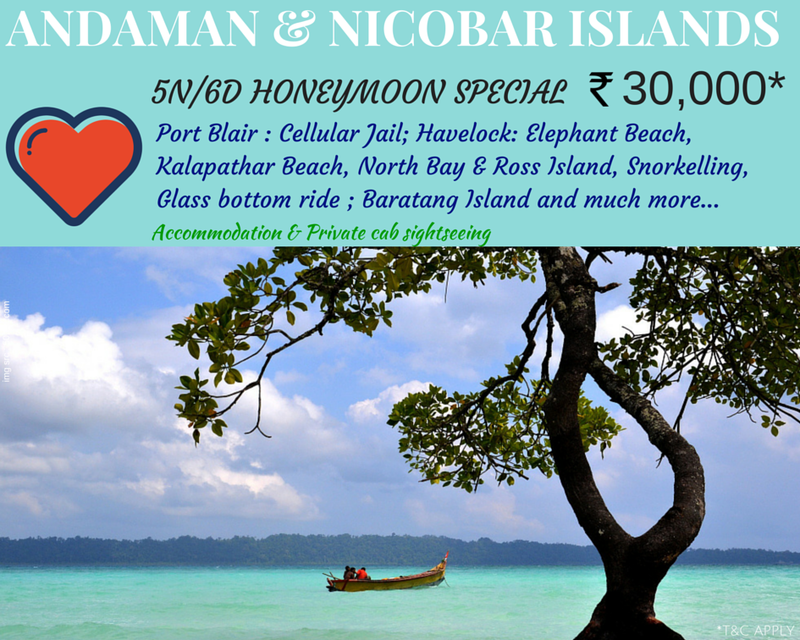 50 per Indian adult and Rs. 25 for Indian child(aged 5-12). 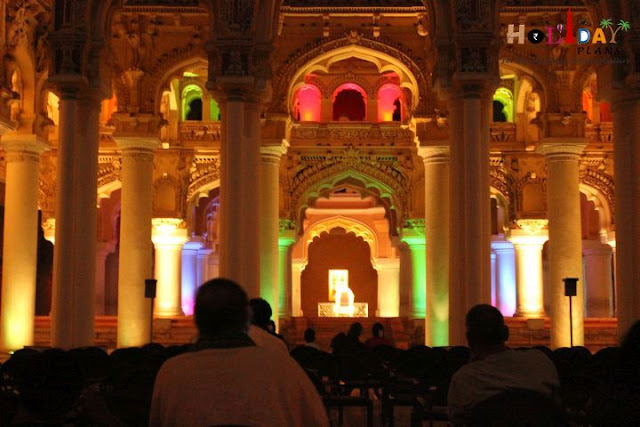 There are two light and sound shows @ 6.45 pm (English) followed by the Tamil show. It is better to take the seats in the back row to get full feel of the same. 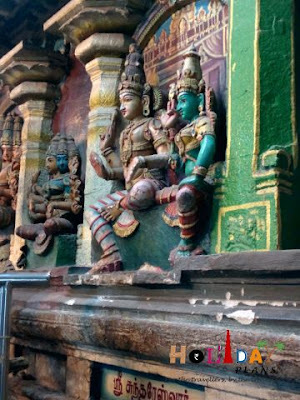 It depicts the story of Silappathikaram , one of the The Five Great Epics of Tamil Literature according to later Tamil literary tradition. It is a visual treat to watch. With this we had come to the end of our South India Excursion. I had gained a lot as a traveler on this trip. The confluence of Indian Ocean with the Bay of Bengal in Dhanushkodi , The Walk amidst the clouds and the Lake circumscribed by the Forest , the temples of Madurai all have left a deep impression on me. I bid goodbye to the place with a promise of coming back one day! We’ve been travelling a lot in India and will keep continue to post more and more blogs. Till then Happy Blogging and Happy Holidaying! Planning a trip to Madurai /South India ?? Feel free to get in touch with us with for any help for your trip.